InformaCast offers numerous features to help manufacturing facilities keep employees safe during emergency situations. At Singlewire, we strive to educate our customers on best practices and share practical use cases from customers using InformaCast in innovative ways. Our most recent user’s group meeting featured two manufacturing customers sharing the successes they’ve experienced implementing InformaCast for mass notification in their facilities. Not using InformaCast? Learn how to take advantage of it in your facility. Both panelists stressed the importance of taking the time to set up InformaCast to easily trigger notifications for any scenario should a situation arise. In one organization, our panelist uses InformaCast to alert employees for nearby lightning strikes. Due to the materials used in their manufacturing, if lightning is in the area, production needs to shut down until it passes. Using the InformaCast email plug-in, the organization created filters for incoming emails that mention lightning which are then sent to an email address associated with InformaCast. When certain subject lines are recognized, InformaCast automatically triggers a notification that is sent to Cisco and analog phones. Cisco phones receive a custom text message and audio. Analog phones are connected through the legacy paging interface and only receive an audio message. However, in noisy areas, those phones are also connected to visual strobes that begin to flash when the phone rings so employees know someone is trying to reach them. Certain messages are also designated to particular groups, such as maintenance and safety, to provide proper context and instruction for what to do during the situation. Our other panelist places stickers by each of their phones to encourage employees to use InformaCast during emergencies. InformaCast is also a regular part of ongoing and new employee training so they know how and when to use the system. The organization set up every phone with four digit codes that trigger notifications. Our panelist oversees multiple facilities, so it was important to make those codes standardized across the organization regardless of the building people are working in or visiting. Notifications can be sent for multiple scenarios, including: active shooter, intruders, severe weather, medical assistance, chemical spills, gas leaks and fire evacuation. Users can record their own message to share specific information. Sirens and whistles help differentiate the notification from a standard page. If 911 is called in one of the organization's facilities, a notification is sent to phones and computers with the extension that 911 was called from. Following that alert, a conference call bridge is automatically triggered to bring together key personnel. Our panelist was able to take full advantage of this feature by helping manage an emergency situation while on vacation. While away, she received a text message alerting her that 911 had been called at one of the organization’s buildings and was then invited to join the conference call. She was able to full grasp the situation and relay instruction to the people onsite to help ensure everyone’s safety. Following these tips helps minimize confusion and makes it easier to manage a crisis. As with any new system, it’s important to have buy-in from staff to make sure that it gets used. One of panelists found success by developing close relationships with their security team to promote InformaCast. Creating advocates at the top, helped filter the use of the system throughout other facilities. Regular tests have also helped ensure everyone is familiar with best practices for using the system and that everything that has been set up works properly. This means less issues for the IT team to solve. 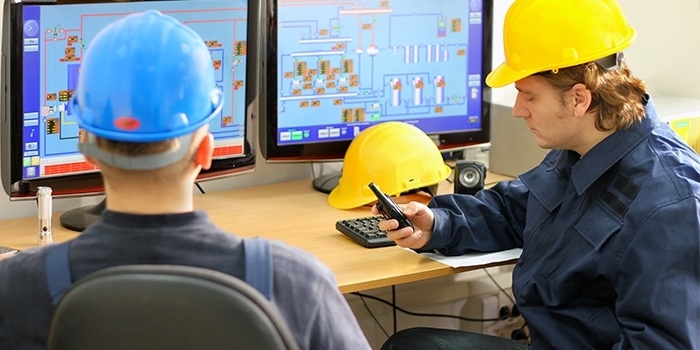 Implement these practices in your manufacturing facilities to get the most of InformaCast and increase the safety and security of your building.